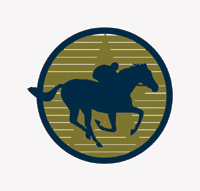 CANTER of Texas, a non-profit organization affiliated with the Texas Horsemen's Partnership that transitions racehorses off the racetrack into new careers, and versatile horse trainer Aaron England are joining up to offer a one-of-a-kind clinic for horse owners. The two-day demo and riding clinic, donated to CANTER of Texas by Aaron England for horse owners who have adopted or purchased horses from CANTER, is scheduled for November 6 & 7 at Aaron’s England’s Versatile Horsemanship and International Learning Center at C.R. 2005 in Goldthwaite, Texas. The clinic is also open to anyone interested in learning more about natural horsemanship and improving any horse. Many horses owners run into difficult areas with their horses, no matter the breed of horse. England’s extensive and professional horse training background provides him with unique knowledge that can assist owners with such common problems as horses that buck, spook, crowd the owner, refuse to move forward or move forward too explosively. Horses transitioning from a racing career can be even more of a handful than your average horse. Many racehorses are Thoroughbreds, which are considered to be a hotblood horse, meaning they have a lot more get up and go than a coldblood horse, such as a draft horse. While ex-racehorses can make incredible mounts for a wide variety of horse disciplines, they are often not given the same level of training a non-race horse receives. England hopes to bridge that gap for current owners utilizing his unique and natural horse training methods. England’s wife, Riva, is a hunter/jumper enthusiast and has adopted one of the CANTER of Texas horses. England uses a series of levels in his training and Level One starts working on the ground with the horse in a halter and lead rope. The training progresses from intensive groundwork to saddle work, and the end result is that the horse thoroughly understands what his owner asks him to do, and the horse willingly performs. England has achieved three highly sought after certifications from Pat Parelli, the number one natural horseman in the world, and he apprenticed with Leon Harrel, a five-time World Champion Cutting Horse rider. The clinic will be held from 9:00 a.m. to 4:00 p.m. on both Saturday, November 6 and Sunday, November 7. Early bird (at least one week prior to clinic) special pricing is $150 for one-day attendance and $250 for two-day attendance. Auditor cost is $45 for one day and $80 for two days. Anyone whohas purchased or adopted a horse through CANTER will receive a 10% discount. Additionally, England will donate 50% of the proceeds to CANTER of Texas. England will be available for private lessons and more advanced training on Monday, November 8. Participants can stay in Goldthwaite at the Red Bud Inn, 1501 Fisher St., (325) 648-3061. England has trailer hookups at his facility and the cost is $10 per night. Stable fees for boarding horses are $10 per night per horse. Horse owners must bring a current coggins. For directions, see England's website at www.AaronEngland.com. For more information, contact Lynn Phenix at (512) 963-6775 or Aaron England at (325) 938-6096.